For the greatest day of his career, Patrick Pilet might have hoped for better weather. At Petit Le Mans in the USA, the skies opened up and it poured. Despite umbrellas and plastic rain capes, the fans around the track were soaked to the skin. 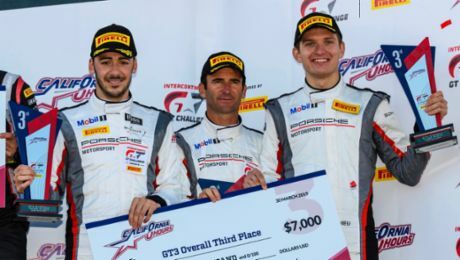 But perhaps this was precisely the extreme conditions that the Frenchman needed to clinch the most important success in his career until now, just five days before his 34th birthday on 8 October: the first overall victory for Porsche at the most important North American long distance race alongside Daytona and Sebring. 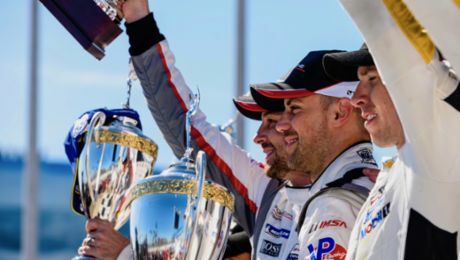 And the championship title in the strongly represented GTLM class of the United SportsCar Championship, in which the works teams of Porsche, BMW, Corvette and Ferrari fight for the crown of sports car manufacturers.